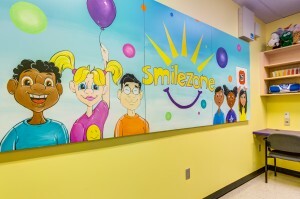 Are you interested in applying for a Smilezone transformation at your facility? We are currently accepting applications from hospitals, children’s treatment centers, and other community-based health organizations. Please click on the link below to download your application! All completed applications will be reviewed by the Smilezone Development Committee. Please expect an acknowledgement of receipt within one week of submission, noting the next Development Committee meeting date for application review. If you have questions about the application, please contact info@smilezone.com or call us at (905) 951-2978.